Deluxe quality cotton and lurex millionstone george fabrics.$19.95 Price per yard (36" x 39" wide). Please note: (Minimum of 8 yards per Order). 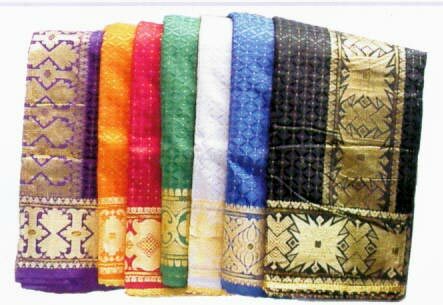 These will make ideal fabric for wedding, formal occasions and bridal party. Available in most color, White, Black, Blue, Fusha, Red, Cream, Purple and Beige.